As a Military member or Veteran you qualify for a No Credited Score Required Va Loan. Minimum credit score of 500. Non Military can qualify for a FHA loan with 560 and above. Contact us for more information. Property taxes and qualified interest are deductible on an individual’s federal income tax return. Depending on your loan, a portion of each amortized mortgage payment goes to principal which is an investment. We can show you any home whether it is listed with an agency, a builder, Short Seller, or even a For Sale By Owner. Purchasing a For Sale By Owner using our professional Home Buyer services does not cost you a dime. A homeowner can exclude up to $500,000 of taxable capital gain if married and filing jointly, or up to $250,000 if single or filing separately. The home must have been the taxpayer’s principal residence for two of the previous five years. …We are familiar with the communities where you want to live. …We can represent your BEST interest. …By keeping you informed every step of the way. 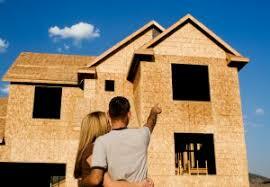 Our Commitment is to provide you with the professional real estate services you need and want. We do things your way! 1)Locating the best home for your needs. 4)Meet your home buying needs with the least amount of hassle. 5)Provide you with superior client service. Some people try to find their special home by previewing dozens and dozens of homes online at various real estate agent websites. The problem is that on any given day, you are only able to view a select few of the current homes available. Therefore it is critical that you have access to current information that is accurate, up-to-the-minute and provided to you in real time. How else can you make an informed decision? 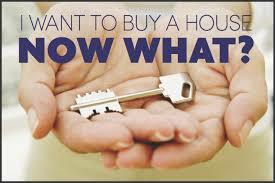 That is why we provide you with our FREE “Home Finder” Service. A list of every home that matches your home buying criteria emailed directly to your inbox as often as every day. Then, whenever any new properties matching your needs and wants hit the market, you get instant notification! Many times you get information before many real estate agents do. There are a lot of ways to go about finding a home, but by far, the best way is to set-up a quick get-together at my office. It will only take 15-20 minutes. It will only take longer if you have more questions. You tell us what you want and we tell you how we go about finding it for you. That’s right, we work for you, spend our time and dedicate our resources to making sure you get the best possible value currently available and you pay us nothing for this service. If you haven’t already set a time to meet with me all you need to do is call my number 24-hrs. at (254-383-3736). I’ll do the rest. Or, you can email direct to:([email protected]). Step one you have probably already taken. Chances are you are already enrolled in our FREE Home Finder Services and have been receiving information via email on all the homes currently for sale that match your home buying criteria. 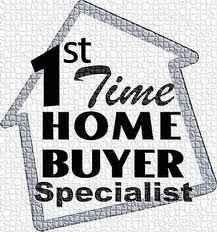 We will continue providing this FREE service for as long as it takes for you to find that special home that you want. So in a real sense we have already begun working just for you. Step 2 is you finding a home or homes that are of high interest to you and tell us you would like to preview these homes in person. In step three of the process, we will open the doors to the home or homes you wish to see personally. Additionally, we will make sure that you have the time and freedom necessary to experience each property fully while you are deciding whether or not which of the homes is that special one just for you. Finally, when we do find the perfect home for you, I’ll answer all your questions and give you all the specific details that you need to make a decision. We will provide you with a current market value assessment of the home you are considering buying. There is never any pressure. Should you decide that you’d like to purchase a home, we will handle all the details, including negotiating to your benefit. Throughout the entire process we’ll work at your pace, and you’ll be the one making all the decisions. We will communicate to you with the frequency necessary to keep you informed and worry-free the entire process. Purchasing a distressed property can be a time-consuming process, but you can also get a great deal on a house you love. A SHORT SALE occurs when a homeowner sells their home for less than (short of) what they still owe on their mortgage, and their bank has agreed to accept the proceeds from the sale as payment in full of the loan balance. A FORECLOSURE occurs when a homeowner has defaulted on the mortgage, and lender initiates a foreclosure against the property. The property will eventually be put up for sale at auction. A REAL ESTATE OWNED (REO) occurs when the bank has successfully foreclosed on the property and the foreclosure auction did not result in a sale to an outside bidder. Thus the lender ends up as the new “owner” of the home. Distressed properties often have challenges not typically found with a traditional real estate transaction. Short Sale properties may often be in better condition than properties that are in foreclosure, as the homeowner is working with the bank to release them of their debt and is trying to avoid foreclosure. Any offer must be approved by seller’s lender. 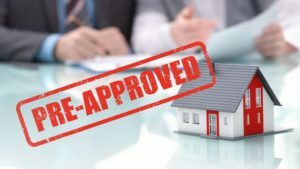 Because of the required approval process by the lender, approval of your offer (and therefore the short sale) could take months. 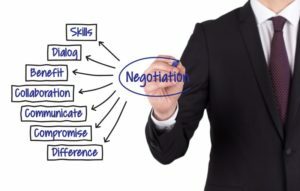 A lender may change the terms of the agreement made between the seller and the buyer. Lenders will typically sell the homes “as-is,” meaning that REO properties will often need repairs. The lender most likely will not agree to make any repairs to the home. The lender may require you to finance with them. While most REO properties are already vacant, there is the possibility of tenant problems which may cause a delay in closing, and may also increase the price. If you are not using the REO bank as your lender it is possible that certain repairs will be required to be made to the property before your lender will agree to close. We work with most builders and can get all the information you need to make any decisions, but I will need to accompany you to the property on the initial visit. 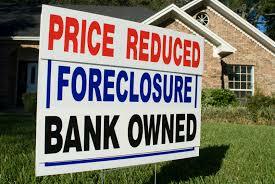 We will work with you on short sale, bank owned and foreclosure properties. It is critical that you have professional representation in these types of transactions. I am sure you have read of some of the nightmare experiences buyers have had in this type of transaction. We will be with you every step of the way to avoid a catastrophe! A homeowner trying to sell his home himself is usually doing so in hopes of saving the commission, coincidentally, this is the reason a buyer wants to deal directly with a homeowner. If you should see a FSBO, FORECLOSURE, BANK OWNED or any property of interest to you and want the advantages of my services, please let me make the initial contact so you get “inside information”. There are many factors to consider when selecting a neighborhood that is right for you. Below are just a few of the many factors — You may think of others that are important to you. Please write them on your Home Search Criteria form so they do not get forgotten. Neighborhoods have characteristic personalities designed to best suit single people, growing families, two-career couples, or retirees. Investigate to determine if the neighborhood matches your lifestyle and personality. It is important that you scout the neighborhood in person. You live in more than your house. Talk to people who live there. Drive or walk through the entire area at different times of the day, during the week and on weekends. Travel to and from places that you would typically frequent to be sure you are comfortable. Look for access to major thoroughfares, highways, and shopping. Check with local civic, police, fire, and school officials to find information about the area. 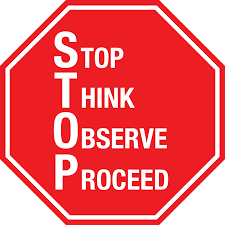 Look at traffic patterns around the area during different times of the day and drive from the area to work. Is the neighborhood near parks, places of worship, recreation centers, shopping, theaters, restaurants, public transportation, schools, etc.? We will deliver your offer personally to the Seller with their Agent present. We will negotiate to your benefit! A face-to-face presentation by me on your behalf will also insure that you get the best price and terms! There is no other way to represent your best interest. 1)Not understanding a local market and all that is available. 2) Thinking that it is both safe and easy to buy foreclosure and short sale homes. This is a biggie! 3) Not understanding pricing and the value of certain amenities. 4) Weak negotiating. This mistake alone can cost the buyer thousands of dollars. 5) Not requiring the proper inspections and/or not understanding these reports when an inspection is done. 6) Not understanding the importance of being pre-approved by a Lender prior to beginning the home buying process. Utilizing my exclusive service, your home purchase will go smoothly and you will avoid these costly common mistakes. Many buyers apply for a loan and obtain loan approval online before they meet with an agent and begin looking at homes for sale. If that is what you have done, great! If you have not completed this process, it is one of the very things we will help you accomplish before we begin the home buying process. WHY USE AN AGENT TO PURCHASE A NEW HOME? The builder has a professional representative watching out for his/her interests, and you need the same expert representation. Buying a new home or newly renovated property is a little more difficult and time-consuming than buying a resale. I can professionally guide you through this process. It is very important that your interests be professionally represented when you are entering into a contract for a semi-custom or a build-to-suit home. These transactions are complex and the contract details must be exact in order to protect you and to ensure you get exactly the home you want! We have prepared a list of questions to help ensure that you are dealing with a reputable builder and will review them with you should you be interested in pursuing a new construction or a completely renovated property. REMEMBER – the Builder often requires that your Agent accompany you on your first visit to the Builder’s sales office in order for your representative to participate in the process. We will recommend that you have a home inspection performed. 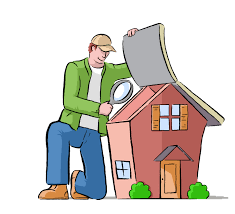 Since there is a BIG difference in Home Inspections and Inspectors, we will assist you in the selection process. 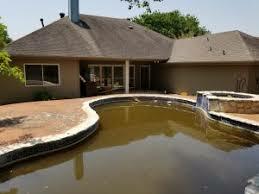 When major defects are identified we will help determine which, if any, should be corrected by seller. What is a Major Defect: any defect that would have a negative effect on the long term value of the home or the safety of it’s inhabitants if not replaced or corrected. Often it is best to get quotes for repairs and request dollar amount at closing. monies in full or continue with the purchase. Protects you from unplanned expenses when you don’t know how reliable your appliances will be. Includes furnace, air conditioner and many other protections that can be extremely valuable in the event unforeseen trouble occurs. We open the doors so you can inspect every home first hand. We continue until you find the home that is exactly right for you. We provide you with detailed information. We counsel you so you can make informed decisions. We prepare a complete Purchase Offer for your approval. We negotiate directly with Seller and Agent on your behalf. We negotiate to your benefit in every situation. We open escrow and deposit earnest money for you. We find and help secure the best possible financing. We order and coordinate every inspection need or requirement. We explain the findings of all inspections. We monitor the progress of your escrow DAILY! We communicate almost daily with you during escrow. We oversee every detail involved in your new home. We make sure every “i” is dotted, every “t” is crossed. We make sure that your escrow closes on time. We explain all escrow and other documents involved. We make sure escrow closes. We hand you the keys to your new home. We check in with you in case there are any surprises. We continue to communicate with you forever. We handle all of your friends and family real estate needs. We personally provide the same level of service to your referrals. 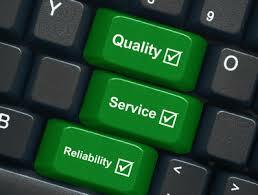 We ask you to grade us on our services. We will continue to serve you for all your real estate needs and wants. All of this and you pay us nothing! It almost seems unfair doesn’t it?